Dishonored 2 made a great gameplay introduction during Bethesda's E3 Showcase showing promising things for the title from Arkane Studios. While we hope to be able to share at least the trailer in good quality later, here are 20 new screenshots of the game showing how good it looks thanks to the studio's Void Engine. The game will release on November 11. 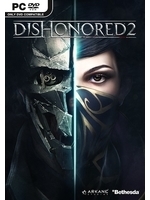 June 12, 2016 (Rockville, MD) – Bethesda Softworks®, a ZeniMax® Media company, today announced plans to release the Dishonored® 2 Collector’s Edition – a premium edition for the highly-anticipated first-person action game from Arkane® Studios. The next chapter in the award-winning Dishonored series, Dishonored 2 is slated for release worldwide on Friday, November 11, 2016 for the Xbox One, PlayStation® 4 computer entertainment system and PC. • Corvo Attano’s Mask Replica and Stand. This recreation of Corvo’s in-game mask stands at 13.5” (H) x 6” (W) x 5.5” (D). • Emily Kaldwin’s Ring Replica and Display Box. This wearable replica of Emily’s ring is constructed of zinc alloy and includes a premium, embossed black ring box with purple velvet inner lining. • Full Color Propaganda Poster Print. This limited edition full color print is issued by the infamous Propaganda Office of Karnaca. • Digital Imperial Assassin’s Pack. Earn exclusive bonecharms like Duelist’s Luck and Void Favor. 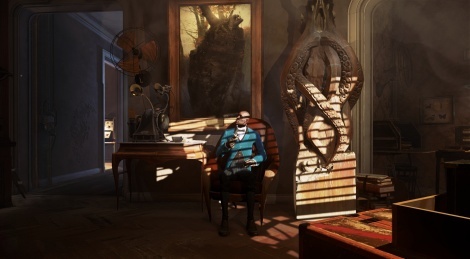 Discover new lore and art including an Antique Serkonan Guitar and the book Goodbye, Karnaca – A Musician’s Farewall. The Imperial Assassin’s Pack also includes 500 coins to acquire new gear and weapons within illegal black market shops. My GOTY is between this gorgeous game and Deus Ex, what a great year. artistically you don't get much better than this. it looks SO good. the first game was one of my faves last gen (bar the mediocre DLC) so i'm very excited about this one. I wonder if the gameplay footage was on pc , it looked gorgeous but it had quite a bit of aliasing so it might have been on console. Looks stunning. Too bad I wasn't a fan of the first one's story and gameplay. If there's anything in the game like the 'kraken' in one of the concept art images, though, I'll play the game regardless. That time device stuff in the game demo looked super cool. I have read on other sites that it will use the idTech 5 engine (Wolfenstein TOB, TNO, ...). Not sure if the Void engine you mention is a fork of that or what your sources are for that info.